Over 80% of American adults are avid coffee drinkers. If you’re one of them, you may not worry as much about coffee spoilage as you worry about running out! However, if you drink only the occasional cup of joe, or if you are thinking about buying several pounds of java at your local club warehouse, you may have occasionally wondered about whether or not coffee does have a limited shelf life. The short answer is probably not, or at least not in the same way that meat, or dairy products, or fresh produce will go bad and make you sick if you consume them. But the longer answer is yes, a cup of expired or spoiled coffee won’t taste nearly as delicious as a cup of recently roasted and freshly ground coffee beans. You’ve undoubtedly seen the results of oxidation on an older car: the metal, once shiny and new, acquires deep red rust. You’ve also seen its effects on apples; the brown flesh that develops when sliced apples are left on a plate is caused by oxidation as well. Oxidation can affect all sorts of things, including coffee. Of course, your coffee won’t rust or turn a different color, but it will undergo a transformation that will render it significantly less appealing than it once was. Oxidation is what happens what something — anything — is exposed to oxygen and changes composition as a result of the movement of electrons. A few electrons moving may seem insignificant (they are microscopic, after all), but what this process can do is affect the chemical makeup of whatever is being oxidized. In the case of coffee, some of the sulfurous compounds and oils deteriorate as a result of oxidation, leading to beans, grounds, and brew that can taste or smell less than ideal. Try to avoid glass containers. Or put them in a dark place. While bright sunny days may be enjoyable, the light and heat aren’t doing your coffee beans any favors. These two factors can actually speed up oxidation and quickly lead to stale java. However, as bad as heat and light are for good tasting coffee, humidity may be worse. Excess moisture on both whole beans and grounds can actually spoil them; if your coffee has been in a warm and damp environment long enough, mold can have a chance to set in. 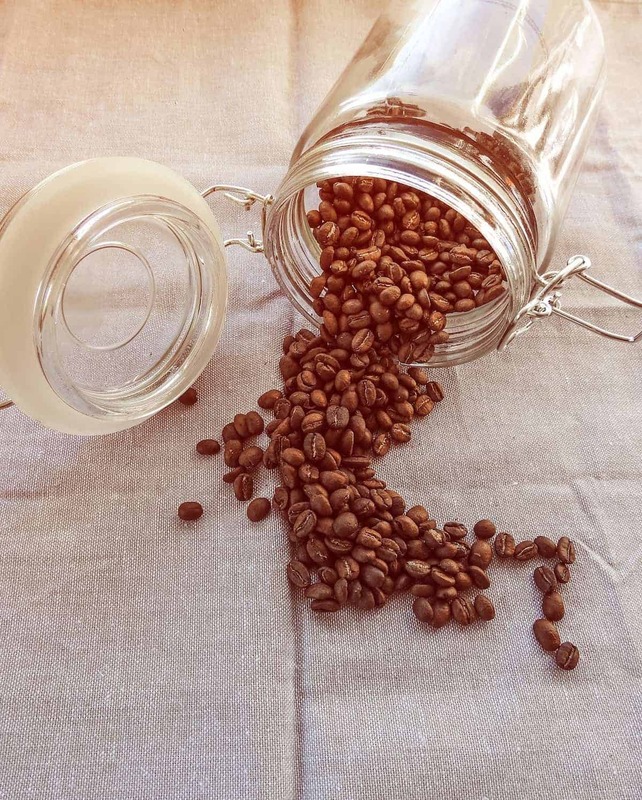 If you’re unsure about the freshness of any beans or grounds, give them a sniff before you brew: if you pick up on any moldy or off odors, it’s probably a good idea to toss them in favor of some fresher ones. There’s no exact number of days, but the answer is the sum of the effects of all the damaging forces acting upon it. Fortunately, there are things you can do to prolong the shelf life of your precious joe. If you’re buying high-quality coffee, you’re probably getting it from a reputable coffee shop in a bag. That bag may be handy, but when it comes to long term storage it’s not the best solution. 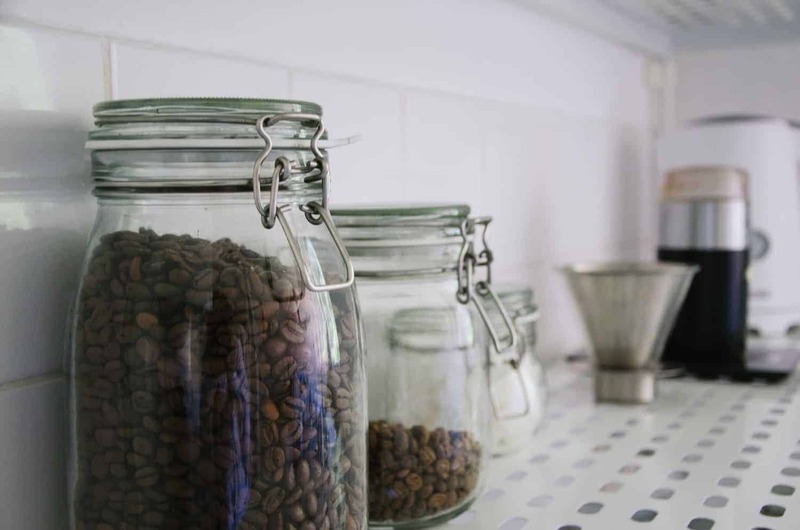 Instead, when you get home, you’ll want to empty your beans into a dark, airtight container to stifle the oxidation process as much as possible. Many people then stick their container in the fridge or freezer to get their coffee out of the heat, but that’s actually not a good idea. The changes and variations in temperature in these environments can affect humidity, which, as you now know, can adversely affect your coffee. The best thing to do is to treat it like good wine and store your coffee in a cool dark place. If you’re fortunate enough to have a wine cellar, that’s perfect! If not, just find a cool corner of your kitchen in which to stash your canister. Grinding your beans just before you brew will also yield the best flavor as grounds have more surface area and that means faster oxidation. 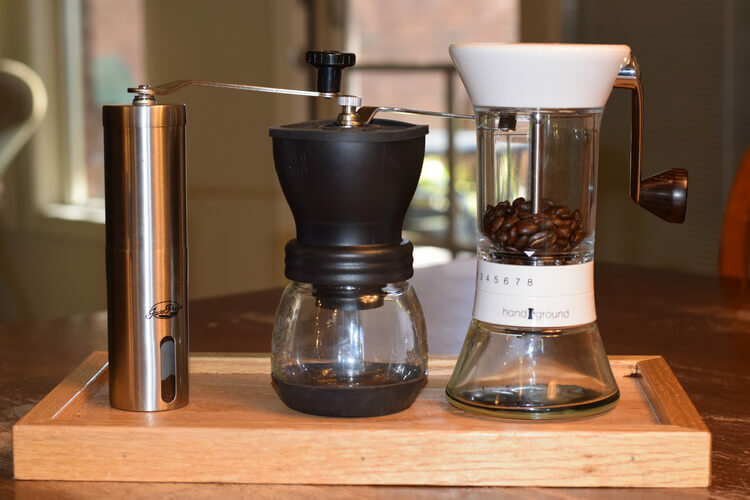 If you don’t already own one, consider investing in a coffee grinder; a good manual grinder will run as low as $30. Or, if you must buy coffee that’s already ground, buy it in small quantities. Can instant coffee expire? Sure — there’s an expiration date on all pre-packaged coffee. Usually, that date is a year after the beans have been roasted, and a lot can happen in a year to make coffee taste flat. Coffee lovers know that fresh coffee is the best coffee. While coffee does eventually go bad, there are steps you can take to make sure that the java you drink is as good as it can possibly be. By purchasing small quantities, employing proper storage, and grinding your beans as close to brewing as you can, you’ll be guaranteed a great tasting cup every time. My Cameron coffee pods I ordered were left my fed ex in direct afternoon sun for 5 hours. Will that have ruined the coffee?